Shwedagon Paya is one of the most famous pagoda as well as the tourist attraction in Yangon, capital city of Myanmar. The place is placed on the 1 Shwedagon Street, Dagon Town, Yangon. The building is the most distinguished place in that city. The Shwedagon Pagoda is an amazing cone shaped Buddha building which is in top of a mount which is around a mile to the north from Cantonment. The building is made from the hard brick relics which are wholly concealed by the gold. 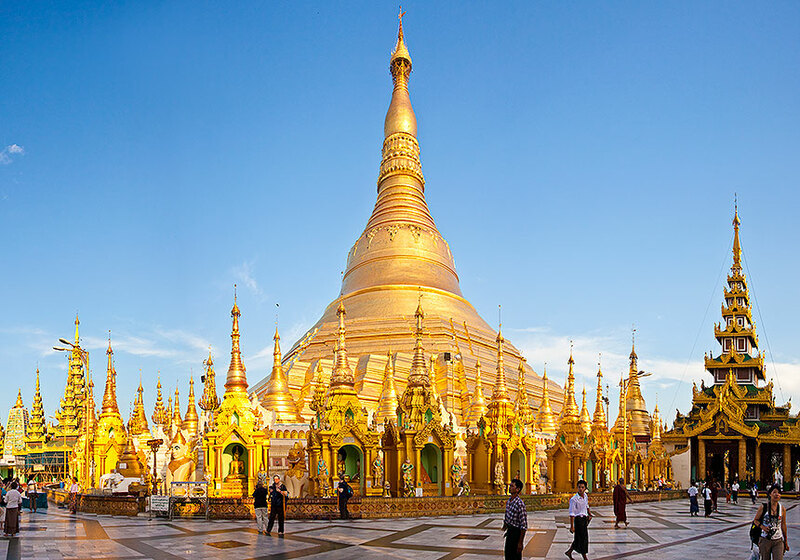 The total height of this building is 366 ft.
We suggest you to visit the Shwedagon Paya on the sun rise or sun set to get the best sceneries and view. The sole reason is for the big and contemplative emerald which can reflect the lights really beautiful. 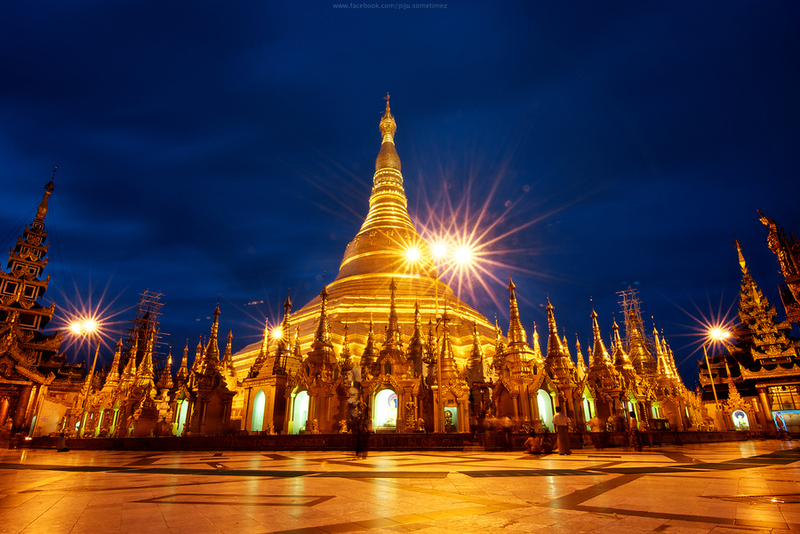 The Shwedagon Paya will be open normally at 4 AM until 9 PM. You have to know, even though it is open at 4 AM, the ticket for the foreign people will not be sold until 6 AM. You have some choices on how to visit this Myanmar’s Top Destination. Most visitors opt to go on foot by climbing the stairs which are located in the west, east, south and north of the place. Many of them often take the south side of entrance, since they are close to the city. You will climb 104 footsteps in this stair. For your information, the west side of entrance had been closed several years ago because of the fire damage back in 1931. Now it has been reopened again and has 166 footsteps and it is the longest one. The north stair was built in 1460 with 128 footsteps. The east side of entrance which you can reach from the bazaars has 118 footsteps and the shortest route among them. If you don’t want to climb up, there should be elevators which will carry you directly to the place and to the foreign ticket place. It depends on the number of the visitors who are waiting the elevator and your own physical condition. 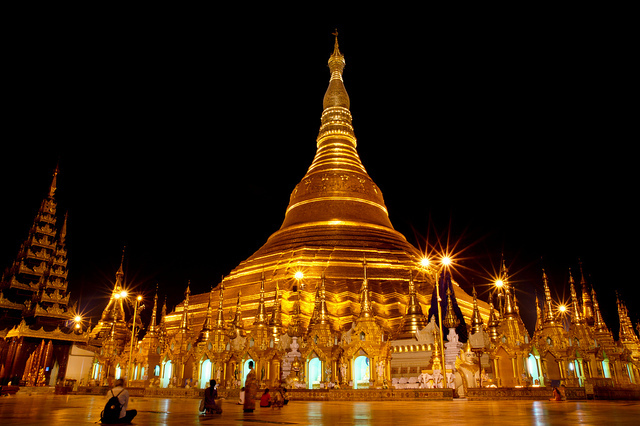 However, if you wish to go to Shwedagon Paya by elevators, you will miss some important scenery on the stairs.